CITY OF ORIGIN: Riverside, California MEMBERS AND INSTRUMENTS: Jay Gordon (lead guitar, vocals); Sharon Butcher (bass guitar, vocals); Mike Elliott (drums). Most musical relationships are formed on foundations of similar influences or common acquaintances. But Jay Gordon's backing band was initially founded on the basis of something entirely different: Volume. Had Gordon played with his amp cranked to ?10? from the get-go, he might not be backed by bassist/vocalist Sharon Butcher today. MEMBERS AND INSTRUMENTS: Jay Gordon (lead guitar, vocals); Sharon Butcher (bass guitar, vocals); Mike Elliott (drums). Most musical relationships are formed on foundations of similar influences or common acquaintances. But Jay Gordon's backing band was initially founded on the basis of something entirely different: Volume. Had Gordon played with his amp cranked to ?10? from the get-go, he might not be backed by bassist/vocalist Sharon Butcher today. Instead, the Strat-wielding blues rocker?whose knob had been twisted to less-than-stunning levels?was repeatedly chastised by Butcher for his attenuated soloing at a gig. That was two years ago. Today, Gordon's got Butcher on stage with him (now she's got access to his amp, so there's no skimping on the wattage anymore) and together with drummer Mike Elliot (Gordon says it took about 15 tries to nab the right sticksman), he couldn't be happier with his backing act, known as The Penetrators. ?They both play with feeling, leaving me free to do what I want,? he says. ?It is rare to get a group together that has this kind of chemistry.? Don't let Gordon's volume glitch lead you to believe he doesn't realize the power of the axe. On the contrary, this Riverside blues master has cut ten albums under his own name. But he's selected the name ?The Penetrators? to further exemplify his mission: to pulsate, resonate and penetrate the soul. Plus, ?it's a great conversation piece, especially when the bass player is a chick,? he adds. Influenced by bluesy fret-burners B.B. 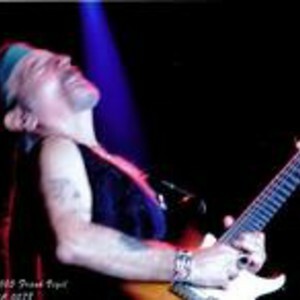 King, Eric Clapton and Johnny Winter, Gordon's bendin' and shreddin' have found him nabbing honors, including landing the Best Blues/Rock Guitarist at the 2007 Real Blues Annual Awards in Canada. Plus, he says he was handpicked by the aforementioned Clapton to perform as one of only 50 guitarists at the Crossroads Guitar Festival in Dallas. In fact, Gordon's got a collection of accomplishments and achievements. ?I could tell you a hundred stories but it would take you a hundred issues to print them all,? he says. ?And believe me, they would be quite entertaining.? We're not going to doubt him, but we're also big fans of letting his Strat tell some stories?just as long as it's nice ?n' loud.